First off, I have no desire to debate immigration policy so you can rest easy in knowing that this post will not be political in nature. Instead I am more interested in addressing Sessions' reference to the Book of Romans (chapter 13 to be specific) and the unique role this particular chapter of the Bible has played over the years. If we want to understand why Romans 13 has been such a controversial piece of Christian scripture we must first understand why Paul wrote it to begin with. Most scholars agree that Paul authored Romans sometime between the years 55 and 58. As its title suggests, Paul wrote this epistle to the "Christians" who were living in the city of Rome. (I hesitate to use the word "Christian" because it is anachronistic to this time period. It would be better to say "Jesus followers" or something similar. In the interest of simplicity, however, I will continue to use the word Christian). So what was happening in Rome that inspired Paul to write to the Roman Christians in the first place? In the year 49, just a few short years before Paul wrote his letter, Emperor Claudius expelled all Jews from the city of Rome, due to what the Roman officials called "instigation of disturbances" among the people. Shortly thereafter, Claudius was killed by Agrippina, his wife, in the year 54. Long story short, Nero, the son of Agrippina, rose to power. At first, Nero's reign was one of peace and prosperity. Nero allowed the Jews to return to Rome and inaugurated a short era of peace and prosperity that permeated the Roman Capital. As we all know, this period of prosperity didn't last, and Nero eventually became a degenerate who persecuted Christians to the point of death. For Paul and his fellow Christians, this was a dark time, and Paul was certainly no fan of Nero. So why would Paul write to the Romans and tell them to submit to Nero's leadership or potentially face the wrath of God? What we must recognize is that Paul wrote his epistle to the Romans BEFORE the persecutions of Nero had begun. This is significant because when we read the words of chapter 13 we must keep in mind that Paul was writing during the brief period of peace and prosperity at the beginning of Nero's reign. When we are mindful of this fact, the verses that Jeff Sessions (and many others) quote from scripture have a very different interpretation. 6. For for this cause pay ye tribute also: for they are God’s ministers, attending continually upon this very thing. Paul was not writing to a group of persecuted Christians living under the yoke of a dictatorial psychopath. He was writing to Christians who were being given (albeit temporarily) an opportunity to thrive. The last thing Paul wanted these new Christians to do was to create waves or even appear to oppose the new regime. By all accounts it seemed that a new era of tolerance was upon all of Rome, and the Christians stood to benefit from it in a big way. Why would anyone dare resist it? Paul, like any leader, would have wanted his people to submit to such a leader. Why wouldn't this be the will of God? America was built and born on rebellion and a sort of radical resistance to authority. 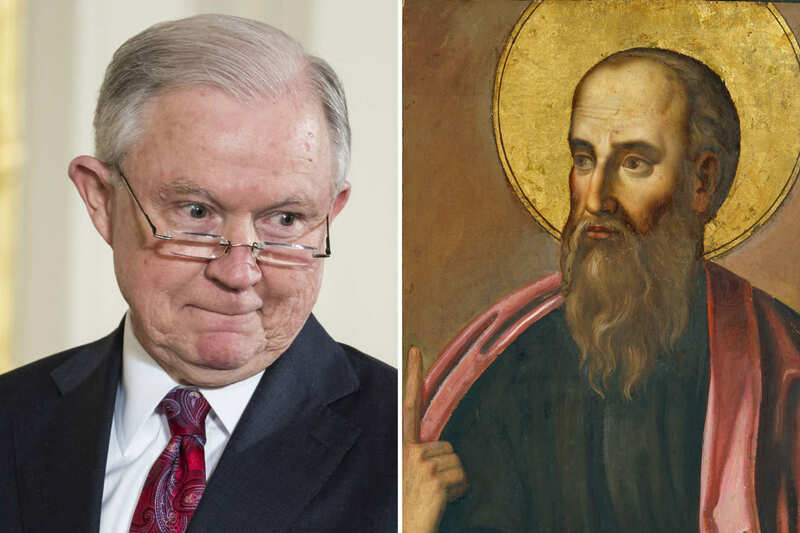 Whenever Romans 13 was used in the 18th and the 19th century — and Sessions seems to be doing the same thing, so in this sense there is some continuity — it’s a way of manipulating the scriptures to justify your own political agenda. 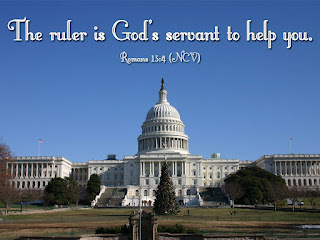 Romans 13 was used by Loyalist colonists to oppose the cause of American Independence. Romans 13 was used by slave-holding Confederates as doctrinal justification to own slaves (interestingly enough, these were the same Confederates who ended up breaking with the Union. Funny how Romans 13 could be used to justify slavery but not to oppose a break with the Union). Romans 13 was even used in Hitler's Germany by pro-Nazi Christians to inspire support of the German Furor. Heck, some have argued (convincingly so?) that Romans 13 was Adolf Hitler's favorite chapter of the Bible. Even here at American Creation, the blog list of how Romans 13 has been interpreted by a plethora of different people with different agendas is so long that I quit counting at 36 posts. Romans 13 is, like so many other parts of scripture, a unique tool that can be used to add credence to almost any agenda. Paul's words can be twisted to fit just about any issue, from opposing American independence in the 18th century to justifying immigration policy in the 21st century. The fact that these words come from the Bible is why so many are both pleased and pissed with Sessions today. Having said that, Sessions' tactic is neither unique nor particularly convincing from a purely historical perspective. Simply put, Romans 13 has been used to justify/oppose everything under the sun. To call something the "will of God" by appealing to this particular chapter of the Bible is like trying to kick water uphill. In conclusion, the Apostle Paul was not attempting in Romans 13 to write out a manifesto for Church-State relations that would stand for the next two or three millennia. Instead, Paul'sconcern was pastoral and local. Paul was worried about his little band of Christians in a foreign land. Paul was advising his followers to be loyal to a regime that was, at the very least, happy to stay our of the way of the Christians. Jeff Sessions is simply wrong when he assumes that this part of the Bible supports his argument on immigration. It does not. Like so many before him, who have also used this Bible chapter to support their respective cause, Sessions is simply acting like a politician, not a historian or theologian. My guess is the Apostle Paul would want Sessions to leave him out of this whole mess because he had bigger fish to fry. Having said that, Sessions' tactic is neither unique nor particularly convincing from a purely historical perspective. Simply put, Romans 13 has been used to justify/oppose everything under the sun. To call something the "will of God" by appealing to this particular chapter of the Bible is like trying to kick water uphill. Having said that, Sessions cites Romans 13 responding directly to immigration doves who oppose the immigration laws being enforced and use the Bible for THEIR argument. That laws should be enforced is a valid Biblical argument. 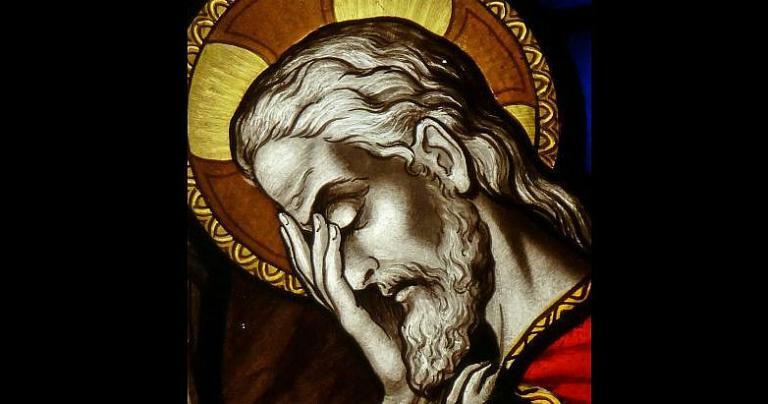 "As an Old Testament scholar I was first intrigued by the fact that the Bible was even being used in the immigration debate, and yet knew that the Bible was not being read seriously. So I decided to do just that. The result of my study was a small book, The Immigration Crisis: Immigrants, Aliens, and the Bible (Crossway, 2009). The observations made in this article summarize briefly some observations reached in that book. The very positive statements about the treatment of strangers in the Bible, some of which were already quoted, show compassion for the alien in ancient Israel. The defenders of illegal aliens point to these passages as the rationale for rewriting current laws. The problem is that they make a simplistic correlation between the ancient Israelite social law and the modern situation as if the Bible was addressing the same problem. Three important questions must be raised before one attempts to apply Israelite law to the modern situation: 1) Was there such a thing as territorial sovereignty in the second millennium B.C. when these laws originated; 2) Within that socio-legal setting, what was a “stranger” or “sojourner;” and 3) How does one obtain this status?" Etc. If the Bible should be tabled in the immigration debate, that door swings both ways. But IMO, I say both sides should go for it. Use religion as the basis for your political opinions. I think that's closer to the Founding principles than the modern secularism that seeks to denude the public square of religion. Thanks for this Brad. I was going to post on this Romans 13 controversy, but you beat me to it. One thing I like to stress because it's not too well understood is the difference between disobedience and submission. The Bible says, obviously, if God's law and man's law contradict one another, obey God (Acts 5:29). 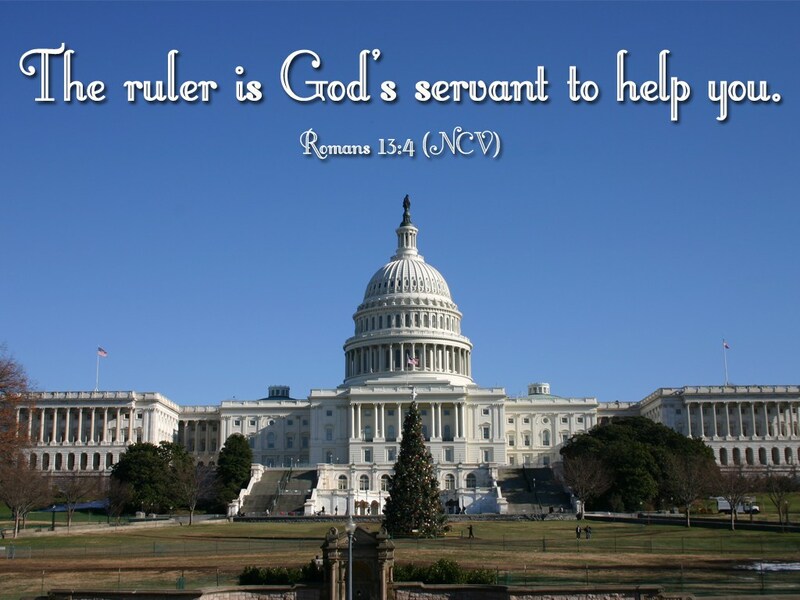 Romans 13 might have a general command of obedience contained therein. The harder question on Romans 13 and its absolutist fundamentalist understanding is the command of SUBMISSION, with no permitted exception. That means when you disobey government to obey God, you also accept the civil legitimacy of the authorities who come to punish you and do your best to work within the confines of the positive law, even if you fail and become a martyr. That means all revolutions, including the American are sinful. "That means all revolutions, including the American are sinful." The explicit American claim in the Declaration was that British govt was not legitimate--Parliament never had power over the colonies and the king had "abdicated" by making war on the colonies. In contrast, our immigration laws were passed and are administrated by the US government, which none but the psychotic left wing denies is legitimate.